I loved it so much that I just had to bring one home with me — and it was only $24 ($26 with tax). A really great deal! 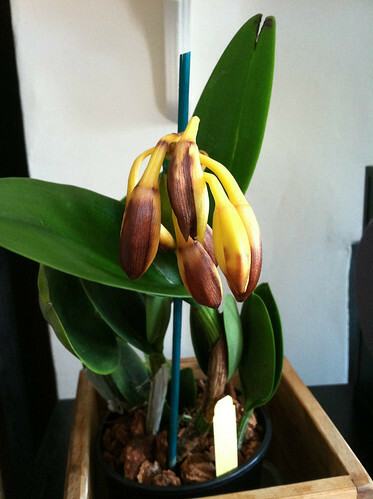 This orchid’s blooms are quite fragrant, very lemony. 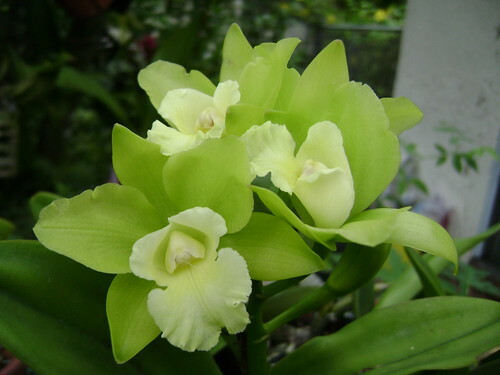 As I’ve mentioned before, I really love orchids with green blooms, because they are just so damn unique. You can see why I was drawn to this orchid! Very, very sad. So, I cut the spike because it was just too painful to look at. 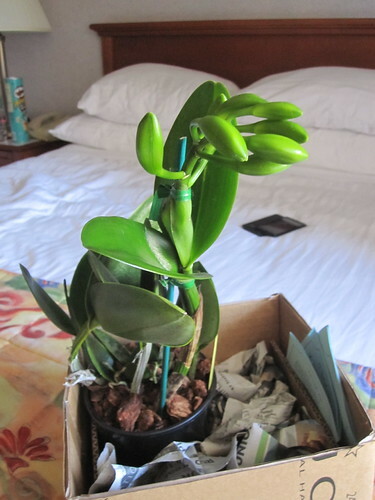 The plant itself seems to be doing just fine, though, so hopefully I can keep it nice and healthy and get it to bloom for real in the future. 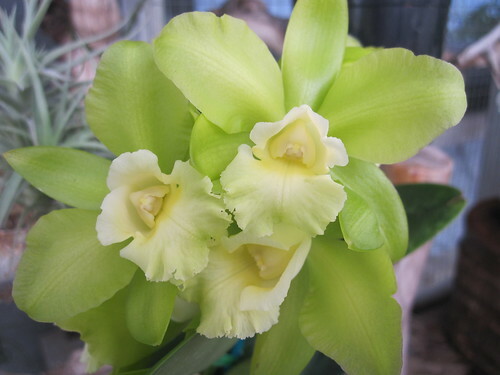 Brassolaeliocattleya Hawaiian Passion “Carmela” is indeed a stunning orchid. I love its subtle contrast in colors — so very delicate! I went to a local orchid show several years ago and this beauty stood out from the rest. Of course, I couldn’t resist it and I bought one. Well, I am sad to report that it’s been blooming for me quite generously but the scent is gone. What could I be doing wrong? I love it too! My plant is not doing well, unfortunately. I’m not sure what I’m doing wrong, I need to do a little research.